Arena 4 Finance - Food inflation: a rising concern? Food inflation: a rising concern? 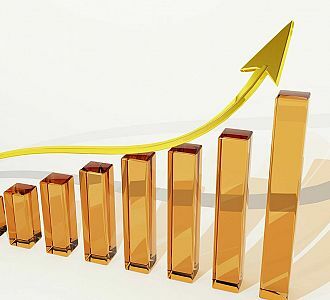 As reported by the hospitality industry supply chain consultants, Prestige Purchasing, food prices are continuing to rise in 2014 with an expected food inflation rate of 3.8%. With this rate being reported as potentially even reaching 6% during the course of the year, the impact of food prices on food establishments’ budgets and profit margins is a cause for concern. Having a 40% impact on menu costs, second only to expenditure on staff, food prices significantly affect the profitability of food establishments. With consumers having higher-than-ever expectations and demanding value for their money, there is great pressure on businesses to protect their profit margins whilst remaining competitively priced. Surpassing the 2.3% consumer price index (CPI) rate of inflation, food products have become relatively more expensive compared to other goods, and have become a drain on household and business incomes alike. With food prices predicted to continue to rise until 2018 and at risk of trebling over the next 20 years, businesses need to effectively plan for and manage food costs for the long term. At arena4finance, we are in the process of further developing our Cost Control for F&B Operations course to assist businesses with the effective management of rising food costs and protection of profit margins. For further information on the course, please visit the course page or contact us on +44 (0)1202 842809 or email us at hello@arena4finance.co.uk.